PICTURES TO COME! New to our rental program! 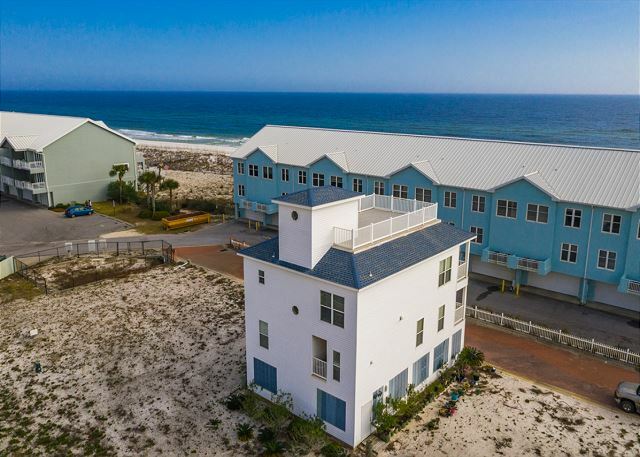 You're just steps from the beach and Gulf of Mexico when you stay in this cute 3 bedroom/2.5 bath White Sands Cottage! 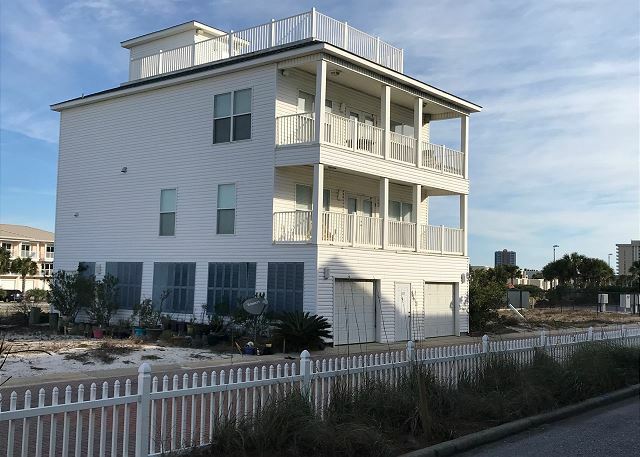 Enjoy beautiful views of the beach and Gulf from a rooftop deck - two additional decks also available. Granite countertops in kitchen, stainless steel appliances. Queen bed in master, full in guest bedroom 1 and twins in guest bedroom 2, and sofa sleeper in living room to sleep eight. Pet-friendly (dogs)! Two-car enclosed garage.